Nominated 11 bloggers (or blogs) who have under 200 followers and give them 11 questions of your choice to answer. 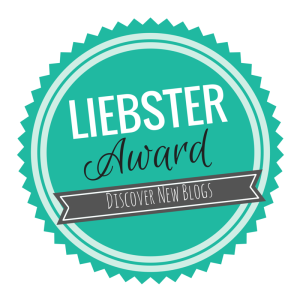 Notify your nominees by leaving a comment on their blog with a link back to your post. I went to a Hollywood Costume exhibition at the V&A (Victoria and Albert museum in London) and touched Audrey Hepburn’s LBD from breakfast at Tiffany’s. In a driving lesson I swerved out of the way of a pigeon in the road and crashed into a bush (everyone was ok and so was the pigeon). I am a third year Religious Studies Uni student, I finish in just over a month! I can quote the Lord of the Rings films word for word but I’ve never read the books. I absolutely adore the Moomins, they are so cute! I always played the lead angel in the nativity play in primary school and threw a massive hissy fit when they tried to cast someone new in my final year. I really want a tattoo and have so many ideas for one but me and needles don’t get on. Q.Do you keep a diary/journal? A.I used to but now I just have a notebook for ideas for my blog or gift ideas and so on. Q.What are you grateful for? A.I actually recently did a whole on the things I am grateful for you can check it out here. Q.What’s Something You Find Challenging? A.I find public speaking extremely challenging as it terrifies me, when I have to do a presentation I shake like crazy and my word get stuck in my throat. Q.Do You Consider Yourself Brave? A.I am brave when it comes to certain things like sticking up for my loved ones but I don’t think I am brave in other respects, I’m such a baby when I have to go see the doctor. Q.What Would You Buy If You Won The Lottery? A.The first thing I would buy is my parents a house and make sure they were comfortable as they have done so much for me. I’d then go travelling with my boyfriend. Q.Are You An Organized Person? A.I do consider myself organised, I always put my posts on my blog on schedule and I’ve never had to ask for an extension on an essay. A.Audrey Hepburn is my ultimate inspiration as she was so selfless and determined she really inspires me to try and be the best person I can. Q.How Did You Come Up With Your Blog Name? A.My boyfriend always told me to start a blog as he said I would be “in your element” so I just thought of In Ella’s Element. Q.What’s One Hobby You Have? A.I love drawing I have so many sketchbooks filled with drawings. Q.If You Were An Emoticon Which One Would It Be? A.Probably the alien face because it’s weird and cute. 1.What made you want to start a blog? 2.What is your best memory from childhood? 3.What is your favourite snack? 4.What could you not live without? 5.Where would you most like to travel to? 6.Favourite band/musician and your favourite song of theirs? 7.What is one thing you are looking forward to? 8.How would you describe your style? 9.What is your favourite book? 10.What is your biggest weakness? 11.Who is your idol and what would you say to them if you could meet them? Aw thank you so much I'm glad you enjoy it!